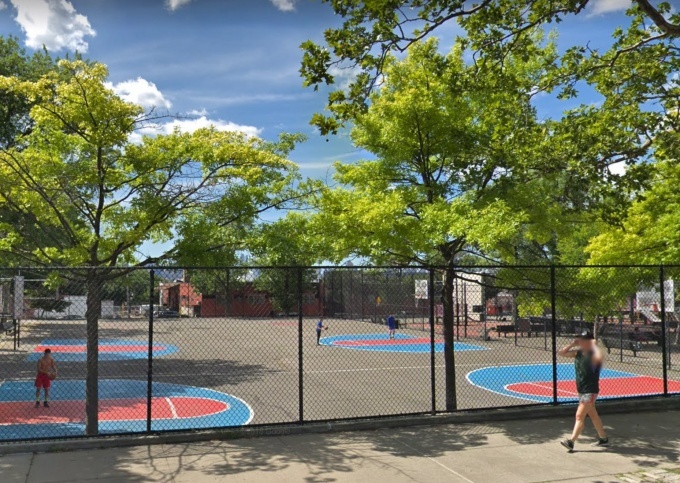 Ridgewood’s Starr Playground is set to undergo a $2.5 million transformation. The park, just under an acre and located by Starr Street and Onderdonk Avenue, will go through a two-phase redevelopment, according to NYC Parks, which presented their long-awaited design plans at a Community Board 5 meeting on Tuesday evening. The first phase of renovations will largely focus on the back half of the park, where the basketball courts are, and will result in a resurfaced sports area, two refurbished basketball courts, a regraded handball court, and a running track around the perimeter of the section. Other smaller improvements that can be expected are new water fountains and trash cans, new trees to replace weathering ones, tie downs for the volleyball nets, and repairs to the cobblestones around the perimeter of the park. Work on the first phase is expected to start in the spring of 2020. A plan or budget, however, has yet to be put forth for the second phase of the redesign, which will cover the children’s play area along Onderdonk Avenue. The capital project comes as the park exhibits signs of disrepair due to use over the years. Poor drainage causes it to fill with water after heavy rain, and the basketball courts—one of the most heavily used areas of the park—are worn down. Players using the handball court, additionally, say that it sits at an uncomfortable angle that affects their knees. Members of the Friends of Starr Playground, a group that has advocated for improvements to the park for years, were also at the meeting, where they offered feedback on the design plans. 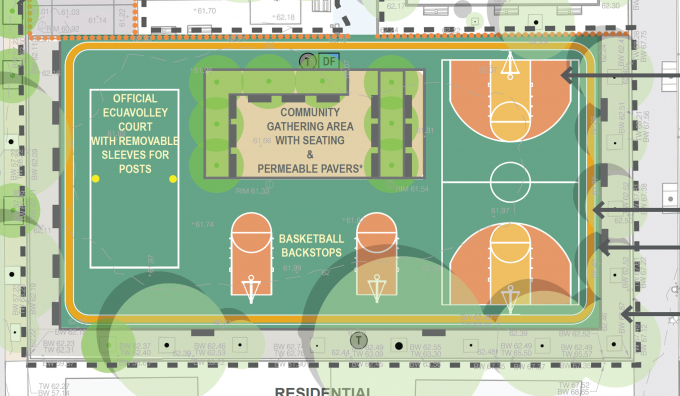 One aspect they asked the the Parks Department to reconsider was a community meeting area—an open space with increased seating—that the agency had envisioned between one of the basketball courts and the sports area. The community gathering space, however, may be revisited or entirely scrapped once conversations on the other half of the park start, which Wedeking hopes will include an upgraded water play area. The first phase of the redesign was originally thought to require shutting down the entirety of the park, but NYC Parks now hopes to keep the front half open while the back half undergoes construction. After approval of a final design for the first phase, there will be a nine month procurement period before construction can begin. Funding was set aside for the park’s overhaul in 2016 after a number of residents spoke out about the park’s deteriorating conditions. In April of this year, Council Member Antonio Reynoso held an open meeting with his constituents to discuss how best to use the funding.